The much-awaited 2017 edition of India Kids Fashion Week in association with Asian Paints – Kids’ World, Crocs and Sony Yay is back in Delhi. Dedicated to showcasing kids fashion, the show is a joint venture between Event Capital (A Laqshya Media Group Company) and Craftworld Events. Auditions for kids of age group 3-13 years, to walk the ramp will be held on 1st and 2nd July in Delhi at Ambience Mall, Gurgaon from 10am to 7pm. Participants can also walk in and register on the spot! 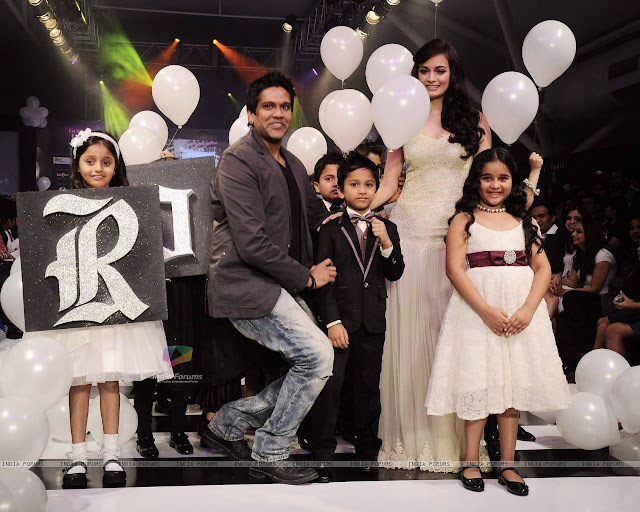 The previous editions of IKFW have seen celebrities like Sushmita Sen, Karishma Kapoor, Genelia D'Souza, Sohail Khan, Dia Mirza, Harshaali Malhotra, Darsheel Safary and Avika Gor walk the ramp. Eminent fashion designers like Vikram Phadnis, Rocky S, Ritu Beri, Gauri & Nainika, Narendra Kumar, Payal Singhal and many more have showcased their collections at IKFW in the previous editions and leading fashion brands like Jabong, Max, Gap Kids, Barbie, Hot Wheels and more have also been associated with it.